Do You Have A Digital Marketing Agency? We can provide you with the fastest & most cost-effective way for you to increase your business’s revenue without you even hiring any new staff – resell our SEO services to your clients. Call me today on (02) 8005 0339 and find out what we can do for you. 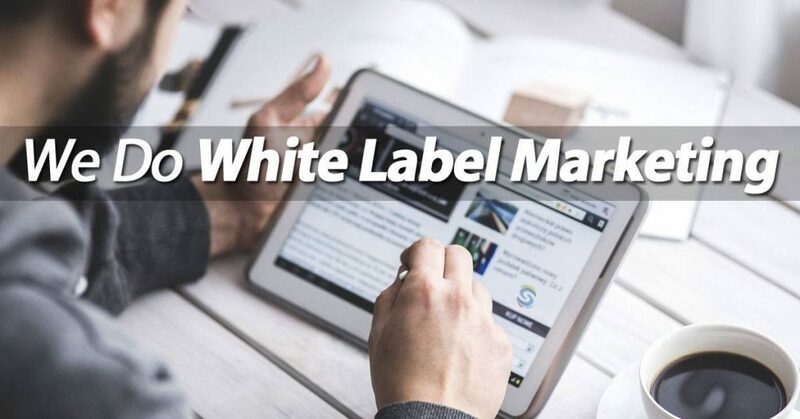 Agencies, White Label SEO Packages from White Label SEO Sydney Search Results can provide you with a virtually passive income stream every month. If you are web design company, digital marketing agency or even an SEO provider (struggling to get results) and you are currently letting precious business walk out the door because you either don’t offer any type of SEO service or are finding it difficult to achieve satisfactory fulfilment: we can help. What do you do when clients request SEO and you simply cannot provide it? Do you currently just refer them on, leaving money on the table? Well you could offer your clients the full range of digital services including SEO even if you cannot provide SEO in house and don’t wan’t to employ new staff. Dramatically increase your business income without paying for more staff or outsourcing the work to unreliable overseas providers. 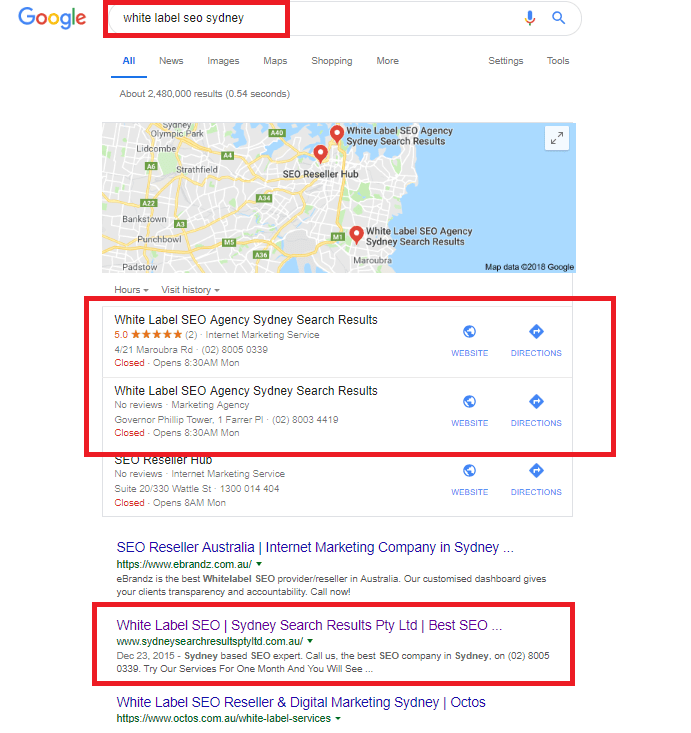 Sydney Search Results Pty Ltd – a fully Australian owned and operational SEO supplier – provides a PREMIUM White Label SEO Service for both agencies & business owners alike who are in need of a reliable SEO service. SEO plays an important role in generating new leads for all kinds of businesses who don’t have in house staff and that is where our service can provide you with the opportunity to be a re-seller of our services, potentially generating thousands of dollars a month in passive income for your business. You just let us handle the SEO for your all or any of your clients and we will white label it to you with our proven track record of top ranking SEO results. This is a golden opportunity for your business as you will be able to offer this essential service to your clients with enough margin for you to make a very comfortable mark up. This has proven a very profitable enterprise for agencies that we work with. SEO is a critical service for all clients of digital agencies: if you cannot provide it, then you risk losing the other business that you currently supply to your clients. Providing SEO at your digital agency can be the difference between you signing up a lead on a new web design of social media contract or having the lead go to your competition,; it can even mean existing clients getting poached away from you. However, you can now add SEO as a prime service offering without any upfront costs to your payroll. Training new staff with all its attendant costs and worrying about Google’s latest algorithmic updates will be a thing of the past. Sydney Search Results can do it all for you by providing you with our White Label SEO service. You won’t be paying anything up front, there are no lock in contracts, and you only pay us when the client pays you. As they say: too easy. 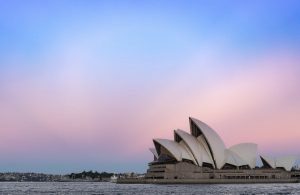 We are an Australian SEO provider – operating fully within Sydney, with no overseas staff or outsourcing. We specialise in SEO. We only do SEO. 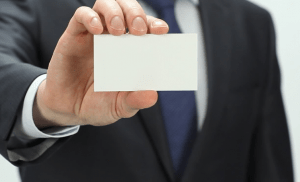 Some companies that are primarily Adwords providers or web design companies claim to be SEO experts and offer white label SEO to other agencies, but they are simply operating as re-sellers themselves. That leaves very little room for you to then mark up the services to your clients, as you can imagine. So ensure your white label provider is doing the work themselves – this gives you the best opportunity to maximise your monthly recurring profit your end. Knowing what to ask could potentially save you a lot of wasted time, money and opportunity when engaging a White Label SEO company. We tick all the boxes covered in the video. Do other SEO companies? So after watching the video give call us on (02) 8005 0339 – see how our prices compare to other agencies. 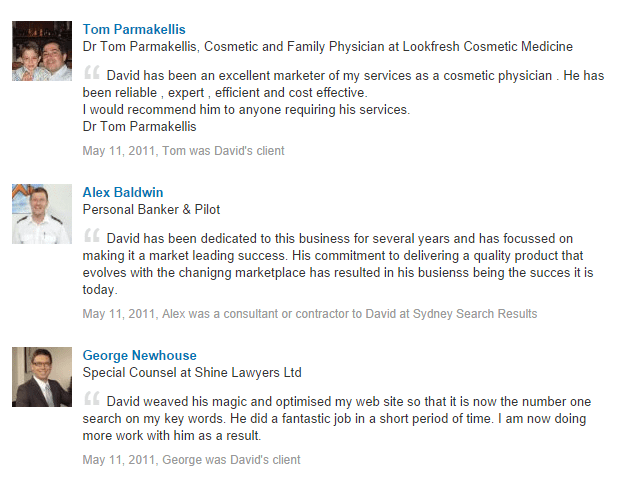 Try Our Services For One Month And You Will See Why Our Clients Love Our Results. 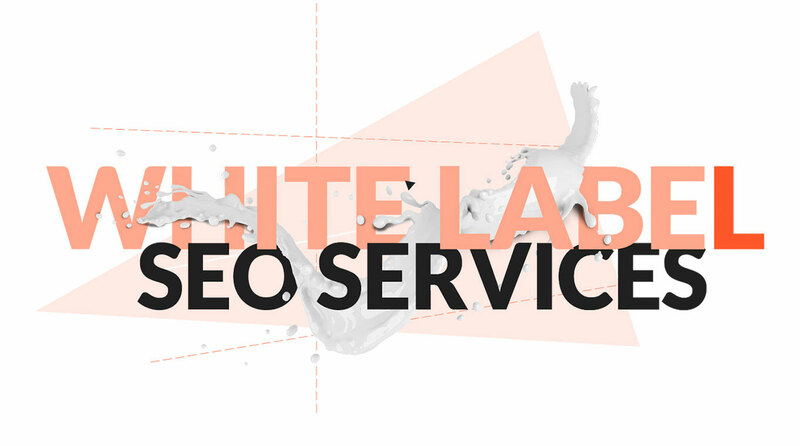 We are proud to be the White Label SEO suppliers for leading digital marketing agencies around Australia. Agencies, are you looking at outsourcing your client SEO to an agency that provides White Label SEO services, that gets great results and does all the work in Australia – guaranteed? Contact us today and ask about our wholesale rates for resellers. 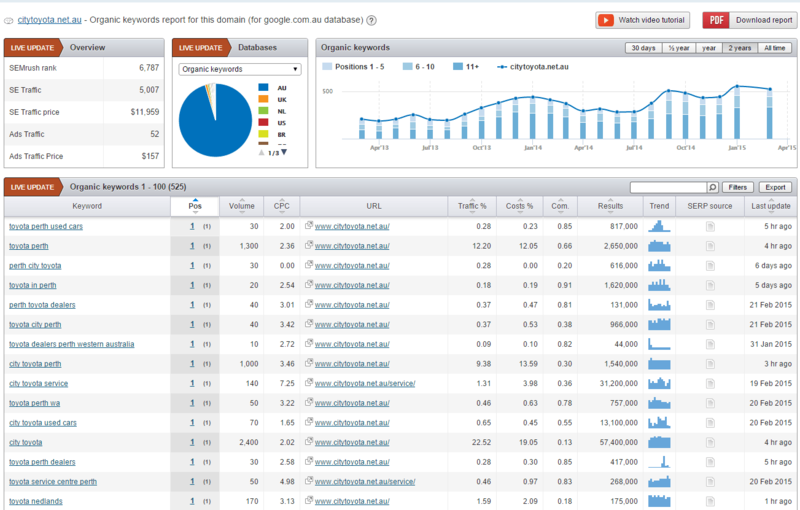 See the impressive rise in rankings – this client now totally dominates their very lucrative market. 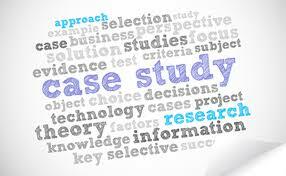 Case Study Brief: Increase sales in a highly competitive adult pharmaceutical market. Our client is a Sydney based pharmaceutical eCommerce site. 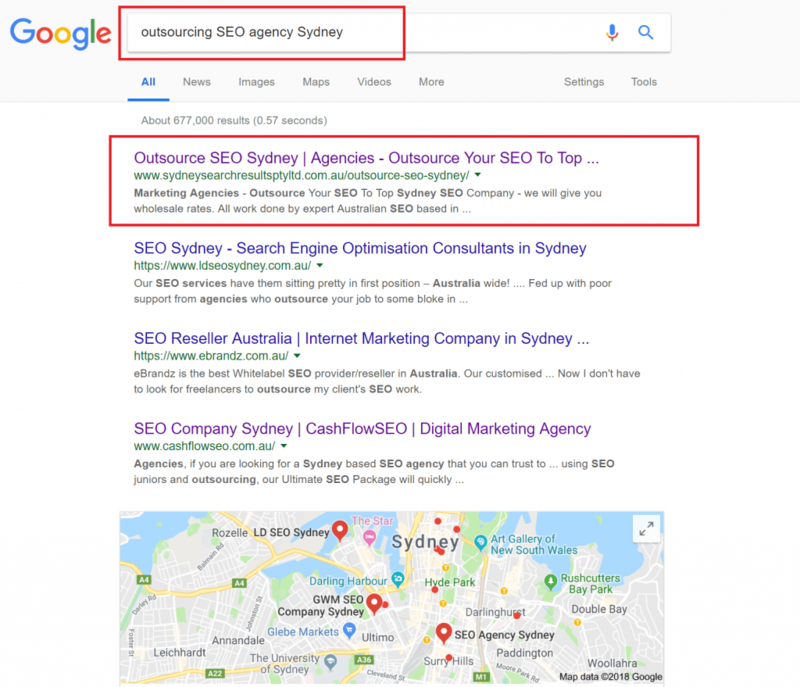 After years of working with SEO companies that were not performing, they came to Sydney Search Results because they wanted to grow their business through a more effective search engine optimisation campaign. The project started by developing a content strategy that positioned them as an authority in their market. The site was developed with a strong need for converting new online visitors into customers. During the campaign we implemented a strategic ‘on-site’ SEO plan of action that was consistent with the overall marketing strategy and a promotion campaign to push them to the top of Google. The brief: to drive as much traffic to the website as possible through an organic SEO ranking and convert them into sales. 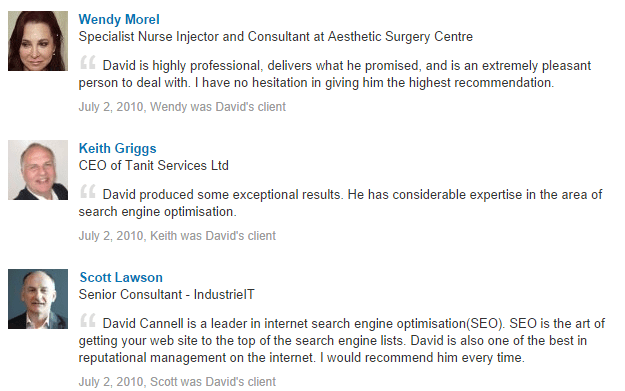 This is the kind of result you can achieve with a top SEO company. 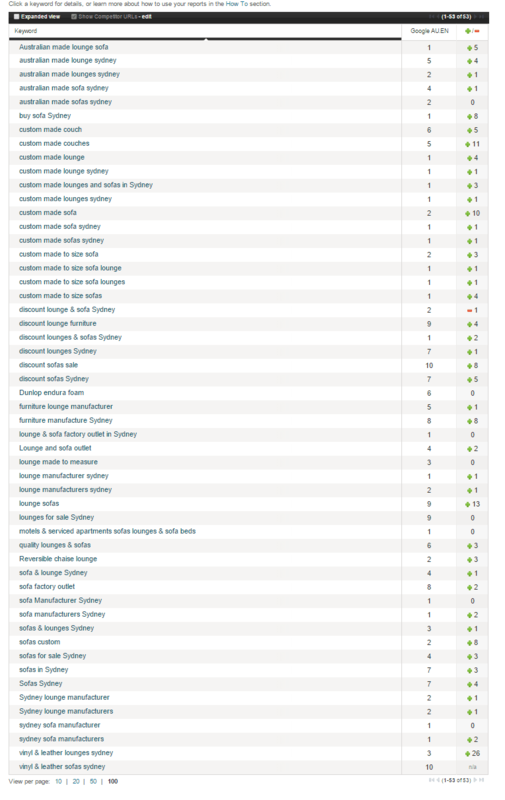 This client has over 550 keywords search terms ranking in Google. Our client is a market leader in their field. 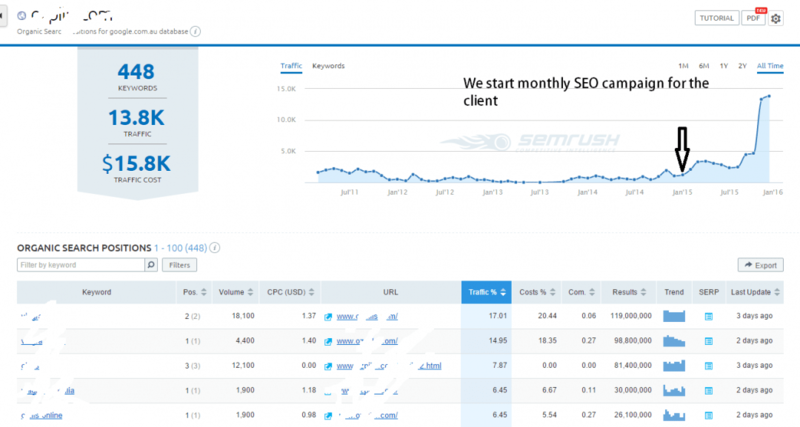 There have been no rankings drops through successive Google Algorithm updates. We have been in SEO since 2003. In internet years that’s a LIFETIME. This means we are very experienced because as you probably understand, SEO marketing is always changing, thanks to Google’s prolific algorithm updates. We will get your website ranked and we will keep it ranked – come what may. Over the years we have been involved in SEO both in terms of ranking clients’ sites and also in terms of Brand Management using SEO. We have developed quite a reputation as a “go to” authority for the media when they want some insight on digital marketing. Check out the rankings for “reputation management” and you will see why the media come to us when they want to discuss SEO, brand management and SEO solutions for reputation management issues. Or fill out our free no obligation enquiry form today for a free analysis of your website and SEO quote, below. 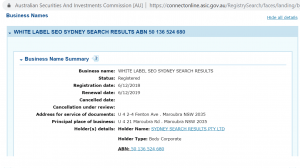 The top organic listings you see are the results that drive traffic for competitive cosmetic surgery search terms like “white label seo Sydney” which all SEO Companies in Sydney would love to get. 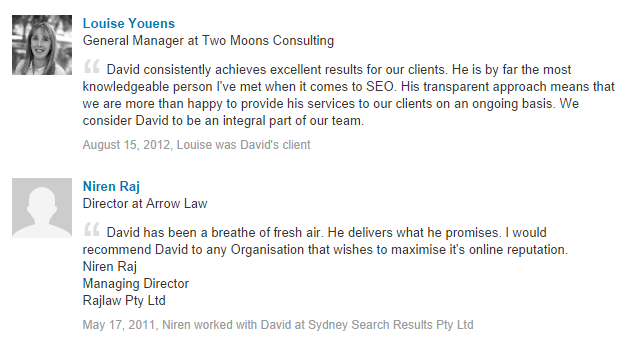 We have held top spots for our client for many years now – generating leads month after month. Get Google Page One Rankings For Your Clients – Ask Us How. 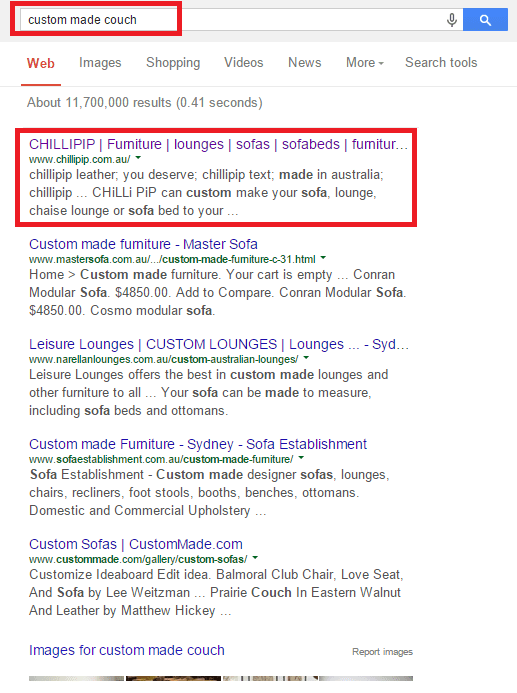 Here is a loyal client who has achieved fantastic rankings now with us for years, Chillipip.com.au, who weren’t ranking anywhere before they started with us. Yet this is a competitive retail market and we soon had them ranking #1 for their main keywords even beating the household names in their market. What Can This Mean For Your Business? New leads. Top spot on page one carries about 36.4% of the search traffic compared to around 12.5% for second spot and 9.5% for position number three. “You are worth every penny. The results are great. I’m spending a fraction per month with you than I was with YellowPages and local magazines and I’m getting three times as many new clients.” Chiropractor, Maroubra.